Pregnancy is one of those times when you really need to take the weight off of your feet, and be pampered. Being stressed isn’t good for baby – so what better excuse than being pregnant for some nurturing me-time. There are some things you’ll need to consider if you want to book in for a spa treatment when you’re expecting – and not just the size of the towels and paper knickers! What Should I Avoid When I’m Pregnant? Steam rooms, saunas and hot tubs all raise your body temperature, and you can dehydrate and overheat. Just like heat treatments, this can be dangerous for you and your baby, so it’s best to stay out of the steam room, sauna and hot tubs for a while. Don’t book in for body wraps, full body massages, scrubs or other body treatments for up to the first three months of your pregnancy. 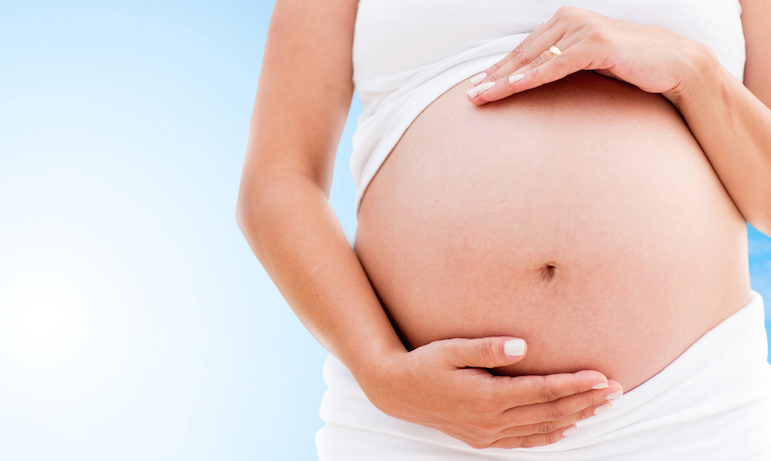 Massage can be a great way to de-stress later in pregnancy. Avoid hot stone massage however as again this is a heat treatment and not good whilst pregnant. Hair removal can be more painful when you’re pregnant because it can make your skin more sensitive, although on the whole hair removal is safe. If you are having hair removal treatments, opt for waxing rather than bleach or chemical treatment, as your skin absorbs some chemicals. Electrolysis is not recommended either, because it’s not known how the electrical currents might affect the baby. Don’t be tempted to keep quiet about your pregnancy – sometimes even specialist pregnancy treatments are only recommended after the first 12 weeks. If the therapist is made aware it may be that she can taylor the treatment to accommodate for you.